Rich Page is the author of ‘Website Optimization: An Hour a Day’ and has been testing and optimizing websites for over 10 years. He is a regular industry speaker, and offers a website optimization blog and services at his website. You can follow him on Twitter for testing tips too. If you are a reader of this blog, there is pretty big chance that you are using web analytics data to monitor and track your website. But are you doing a great job of using web analytics data to power your efforts to test and improve your website? My name is Rich Page, and I’m here to reveal the power and benefit of web analytics driven testing! I used to be a web analyst for many years, including for Disney Online, and I learned many great web analytics tricks, and was always fascinated with using these to test and improve websites. After making the leap into the testing and conversion rate optimization world, I quickly realized just how important web analytics were to effective website testing. Web ana­lyt­ics helps you dis­cover, mon­i­tor and set tar­gets for your key suc­cess met­rics (for exam­ple shop­ping cart aban­don­ment rate or signup form com­ple­tion rate). These will be vital to use and mon­i­tor dur­ing your test­s to under­stand how well your test efforts are performing. Web ana­lyt­ics helps you under­stand and pri­or­i­tize what pages need opti­miz­ing most on your web­site, rather than sim­ply guess­ing what you should test. For exam­ple, you shouldn’t be test­ing pages that have very low traf­fic or have a low impact on your con­ver­sion goals. Web ana­lyt­ics helps arm with you infor­ma­tion that can improve web­site deci­sion mak­ing, which is often crit­i­cal to over­come prob­lem­atic HiP­POs (High­est Paid Person’s Opin­ion) who often only allow the testing of things they want, or and often incorrectly think they know what is best for your website visitors. Ulti­mately, web ana­lyt­ics pro­vides amaz­ing vis­i­tor insights to help cre­ate even bet­ter test ideas. These web analytics driven test ideas will usu­ally have a greater chance of see­ing more sig­nif­i­cant con­ver­sion lifts than random test ideas (based on my experience with clients). Ana­lyze your key con­ver­sion fun­nels. Pages within your checkout flow and sign up process are enormously influential on your conversion rates, and you should analyze them to look for ones that have par­tic­u­larly high exit rates or drop-off rates. In many analytics tools you can even analyze form abandonment to find problematic form fields. Once you have found offending pages or page elements, run tests to better find variations that improve them and increase con­ver­sion rates, for example by focusing them better, repeating benefits and risker reducers, and also removing un-necessary form fields. These con­ver­sion fun­nels can easily be set-up and analyzed in Adobe Site­Cat­a­lyst using the ‘Fall-Out Report’ and in Google Analytics as Goals. Start higher up the con­ver­sion flow fun­nel. When ana­lyz­ing your con­ver­sion flows, find the top entrance paths to the first page of your con­ver­sion flow. For exam­ple, if you are try­ing to opti­mize your reg­is­tra­tion flow, you should find out the top pages on your website that most of your vis­i­tors arrive from, and opti­mize those pages too. This will amplify any effects of the improvements you have made to your conversion funnels. Review your top entry pages for any pages that have high bounce rates. These are great can­di­dates for test­ing and opti­miz­ing because so many visitors go through them and they have much higher traffic, and therefore will yield you better conversion improvements, quicker. Again, focusing and reducing clutter on these pages will improve bounce rates, along with making sure they help solve your visitor’s major needs on them. Remem­ber to also check the key­words or sources they are arriv­ing on these pages to see if there are any issues with con­tin­u­a­tion of messaging, as this can often cause high bounce rates too. On pages that you are con­sid­er­ing test­ing, use your visual ana­lyt­ics reports. These will help you under­stand what vis­i­tors are click­ing on and their pos­si­ble intent (and quite often this is different than you may have expected!) This helps you under­stand and pri­or­i­tize which page ele­ments may need test­ing and opti­miz­ing the most, rather than guessing and potentially risk wasting time on elements that have low impact on conversions. Google Analytics has newly improved ‘In-Page Analytics’ as their visual report for you to use, or you can use low cost tools like CrazyEgg to do more in depth visual analysis. Improve your test plans with ana­lyt­ics insights and data. When cre­at­ing a test plan for each of your tests, you should always include the web ana­lyt­ics insight you found that led you to think of the test idea. You should also include key success metrics that will be improved (like signup completion rate or average order value), the likely impact on revenue and estimated targets to beat). This will help oth­ers in your organization under­stand your logic for the test, and help with pri­or­i­ti­za­tion efforts to get it launched. Ensure strong col­lab­o­ra­tion between web ana­lysts and website test­ing man­agers. Doing this will help increase the amount of test­ing insights being generated and increase the amount of learnings to improve testing process in the future. Therefore you should encourage regular weekly meeting and reviews with these members to review current and proposed tests to try and improve them further. Keeping a project plan with your tests is very important to review in these meetings too. This collaboration will also help to build a testing culture in your organization – key to a long term effective testing program. Get a better testing tool to make better use of your analytics data! And lastly, to make your analysis and testing even more powerful, make sure you are using a testing tool that integrates with your web analytics tool. For the best example of this, if you are using Adobe SiteCatalyst, you can easily use your segments in that tool to target your tests in Adobe Test&Target, and this seamless integration allows you to perform detailed test analysis in SiteCatalyst. For a much simpler version of this tool integration, you can now use your Google Analytics segments to segment your tests in their new Content Experiments feature (the old Google Website Optimizer). To learn more about this subject, you are going to love my new testing and optimization book called ‘Website Optimization: An Hour a Day – particularly if you are a web analyst because it places a lot of emphasis on the importance of web analytics to test and optimize websites better. You can even get the first chapter free! 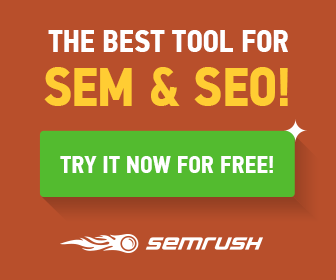 This is a great alternative to Google Analytics! Woopra is a very new tool, and is fresh out of the beta oven. This tracking tool is ideal for less trafficked websites, especially for blogs. It offers all the standard metrics that Google Analytics offers, plus two cool features that Google Analytics doesn’t offer. Firstly, it has real time visitor analysis (creepy but great – you can see exactly which source your visitor comes from, the page they are on, and their path around your site etc), and secondly, they offer a great built in chat tool, that allows you to popup messages to your website visitors and actually talk to them – this is great for generating real time feedback or to offer help. Might be worth checking out, especially for those of you looking to try something different than the leading free Google Analytics tool. If you took out the Search Engine reports part of Google Analytics, and added in a lot more detailed reports regarding your regular search engine traffic (resulting from your SEO efforts) and your PPC efforts (paid search engine clicks), then you have ‘Enquisite‘. It is a very useful free tool for those of you who spend considerable time and resources attracting website visitors from search engines, and allows you to do some great analysis to help improve the ROI of your marketing efforts. An even more advanced, but expensive version of this is Omniture’s Search Center – which also allows you to manage your campaigns. I am a firm believer that one of the best ways to gain insight and understanding about what is happening at your website is to survey your visitors. You should never just rely on click stream data. Survey answers tell you ‘why’ your visitors are doing the ‘what’ that you see in your clickstream data, and enable you to get ideas for improving your website, thus improving the visitor experience, increasing the chance of them coming back (which should be the ultimate goal of any website). This new survey tool called 4Q is free and easy to set up and start generating good feedback and visitor insight. Oh, and Avinash Kaushik, genius web analyst is behind this great tool. A more expensive advanced survey solution to this would be something like OpinionLab. ClickTale takes visual analysis tools like CrazyEgg to an even higher level, and enables you to record and watch what your website visitors do without the need of expensive usability labs! Its great for gaining insight through the perspective of your visitors eyes, and reveals exactly where they go, how far they scroll, and what troubles they are having (and believe me, you will be surprised where people actually go on your website!) And it only requires a few simple lines of code to be added to your pages, which is great for non-techy people. The free version allows up to 100 recordings a week – more than enough to get started with. Intriguing stuff! A more expensive, fully featured version of this would be TeaLeaf. So there you have it. If you enjoyed this post, and my style of writing, feel free to check out my own web analytics blog, Rich Page Ramblings, where I not only offer web analytics insight and opinion, but I also rate and review popular websites. And thanks again to Manoj for having me!